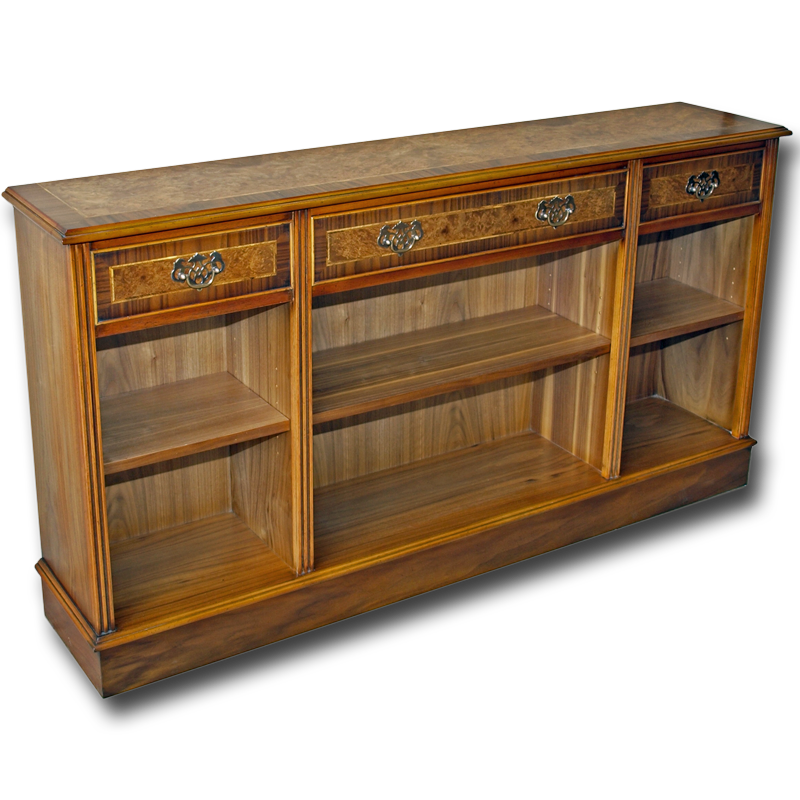 Beautifully crafted open bookcase with 3 fitted drawers. 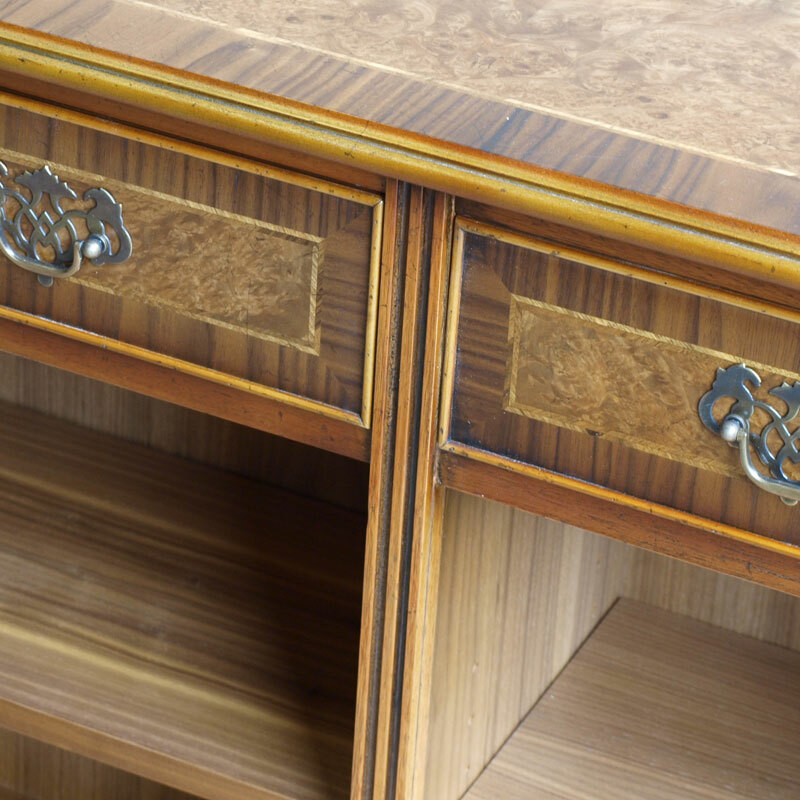 Features reeded side mouldings and inlays within the top and drawer fronts. Fully adjustable shelving as standard.